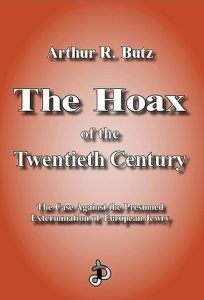 But it is properly called a hoax because it was deliberately created by a few men in the upper ranks of the World Jewish Congress (WJC) utilizing their tight network of influential, well-placed accomplices throughout Europe, Britain and the United States. Some of these inmates organized into secret underground networks that maintained wireless communication to the Polish Government-in-Exile in London. All this was told in the book released in 1976 by Arthur R. Butz, Ph.D., The Hoax of the Twentieth Century, which I quoted extensively from here and will refer to later. Yes, it’s amazing how much of our reality is created and developed without our decision, but simply our acquiescence in seemingly harmless (and usually disguised in moral terms) votes in large bodies such as the UN general assembly or Congressional and parliamentary bodies. We will begin with Udo Walendy, German historian, author and publisher, and his examination of a very important report published in 1948 on the occasion of the second plenary assembly of the WJC in Montreux, Switzerland. The title of the report is “Unity in Dispersion, a History of the World Jewish Congress.” It was published, and at the time I write can be read online here. The World Jewish Congress is an openly Zionist organization. It’s name echos the first World Zionist Congress held in Basle, Switzerland in the year 1897, convened by Dr. Theodore Herzl, a Hungarian-born Jew. Herzl’s portrait hangs in the office of the president at the WJC headquarters in New York City. 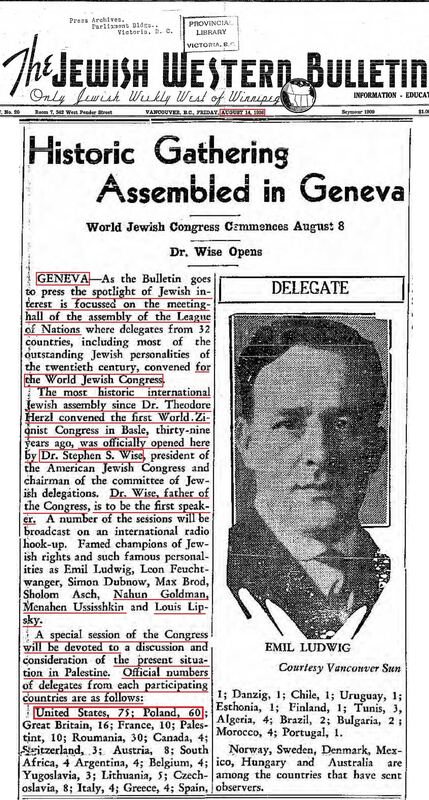 In the same spirit of uniting Jews to define and defend their interests, the World Jewish Congress was convened for the first time 39 years later in Geneva, Switzerland by Dr. Stephen S. Wise, another Budapest-born offspring of rabbis who was brought to New York as an infant. At this Congress, of which they bragged of having 230 delegates representing 32 countries around the world, the vast majority (181) were from the United States, Poland, Roumania and Great Britain. From seven countries there was only one delegate, and from the rest, between 2 and 10. The center of worldwide Jewish interests and leadership had moved to the United States after WWI. 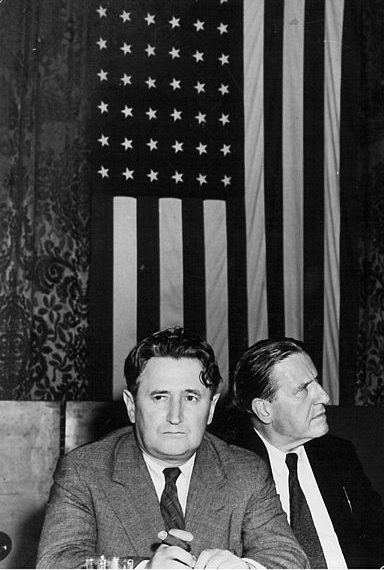 Nahum Goldmann, left, and Stephen Wise, right, playing on American patriotism in 1942. 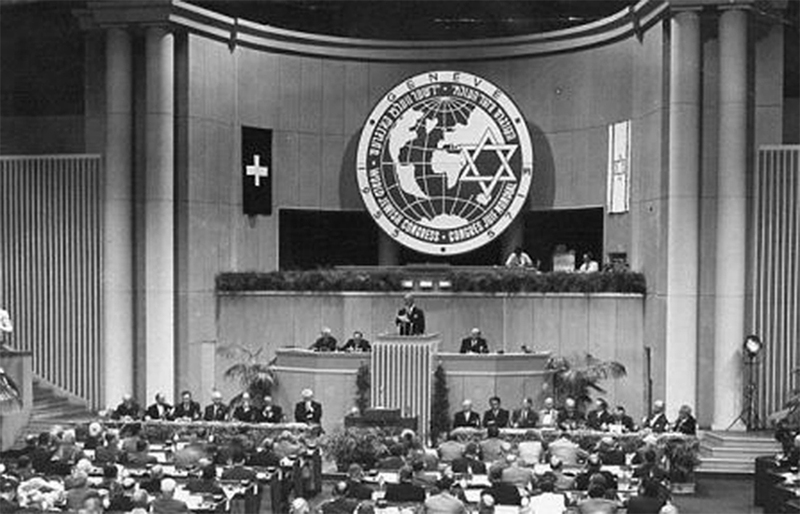 Prior to this first Congress in 1936, a preparative World Jewish Conference was held in August 1932, also in Geneva. It was chaired by Dr. Nahum Goldmann, a Russia-born Jew who grew up in Germany. Some anti-Zionist German Jewish groups refused to participate. Goldmann defined the purpose as to establish a legitimate collective representation of all 16 million Jews in the world. At this conference, Nahum Goldmann and Stephen Wise were entrusted with the leading positions. At two more preparative conferences in ’33 and ’34, the rise to power of National Socialism became a main subject. At the 1936 Congress, Nahum Goldmann made the radical announcement that the existing sovereignty of nations should be considered obsolete! The League of Nations should be reinforced (militarily, apparently) to safeguard the interests of the weaker groups in the world. By these weaker groups he meant Jews. 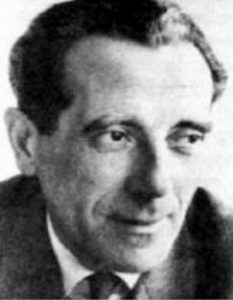 Goldmann also said that mankind had to fight against “an aggression which was started by Germany,” emphasizing that “fighting against Hitlerism is one of the most important tasks” and that “anti-Semitism must be branded an international crime.” He also stated that “propaganda is at present one of the main instruments of foreign politics,” with boycotts and international intelligence services required to be used as weapons. Remember this was in 1936 when Hitler was still being admired for bringing Germany back to economic health! Goldmann became President of the permanent Administrative Committee and Wise President of the Executive Committee. 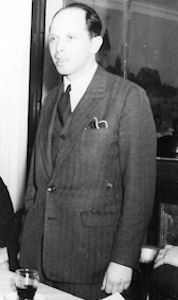 In July 1940, the World Jewish Congress moved it’s headquarters to New York City, with the Geneva office continuing to exist under 29-year old Dr. Gerhart Riegner and Dr. Abraham Silberschein, maintaining contact with German-occupied countries and the International Red Cross. In 1941, another section of the World Jewish Congress was founded as the “Institute of Jewish Affairs.” It was assigned the task of gathering information from all parts of the world concerning Jewish affairs, with the aim of submitting Jewish demands to the peace conference at the end of hostilities. The Jews were looking to get as much as they could out of the war – a war in which they knew very well they were not physically fighting! They thus wanted to emphasize their losses as Hitler’s political victims. In order to best situate themselves, they decided to consider the period from 1919 to 1939 an “armistice,” not a peace. They stressed that a basis must be created by which “war crimes” could be punished retroactively from 1933. And of course, they would be the victims of these war crimes. In June 1942, the Advisory Staff for European Jewish Matters (of the Institute of Jewish Affairs) met in coordination with the World Jewish Congress. Here, a demand was made for the first time that no peace negotiation should ever be carried out without representatives of the WJC participating. The Jews were Hitler’s first victims, and ever since they have been in the forefront of resistance to Nazi aggression. The World Jewish Congress jumped on this and announced that “This sentence rightly characterized the Jews of whatever nationality as an allied people of the United Nations (which is the name the Allies gave themselves at that time). The WJC said they wanted all Jews to be accepted as “one nation” represented by the World Jewish Congress. Received alarming report stating that, in the Fuehrer’s Headquarters, a plan has been discussed, and is under consideration, according to which all Jews in countries occupied or controlled by Germany numbering 3½ to 4 millions should, after deportation and concentration in the East, be at one blow exterminated, in order to resolve, once and for all the Jewish question in Europe. Action is reported to be planned for the autumn. Ways of execution are still being discussed including the use of prussic acid. We transmit this information with all the necessary reservation, as exactitude cannot be confirmed by us. Our informant is reported to have close connexions with the highest German authorities, and his reports are generally reliable. Please inform and consult New York. So, an anonymous report, and supposedly not the first from this ‘source’. The British Foreign Office took its time forwarding the telegram, calling for it to be investigated first, and the State Dept. was also wary. It wasn’t until 3 weeks later on 28 August that it reached Stephen Wise, WJC President in New York, who decided not to make it public. But this telegram is what the WJC and its acolytes use to say the US and UK governments knew from 1942 that Jews were being exterminated. The informant in this case is the “mysterious German industrialist” that Bradley Smith wrote about and concluded did not exist. And he didn’t, until 40 years later, in October 1983 when it was claimed in the New York Times, without evidence, that he was Eduard Schulte, a mining company executive who died in 1966 in Switzerland. 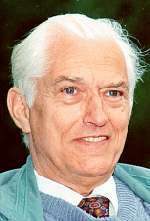 Twenty years after his death, the death of his first wife and one of his sons, and most who could contradict the story, Schulte is named as the ‘informer.’ Even Gerhart Riegner, a life-long WJC executive, refused to confirm Schulte for the NYTimes, reportedly using as his excuse that “I have not identified the man for 40 years and I see no reason not to keep the one request he ever made of me.” The mass of biographical and business information written in the Times article is in no way evidence for the claim—its only purpose in being there is to make it appear to those who don’t actually read that this is a big story with a lot information behind it. There isn’t. There is none. But the current World Jewish Congress leadership thought it worthwhile to bolster their claim of “inside information” about extermination plans coming directly from Adolf Hitler in 1942 by supplying the name of a real person 40 years after the fact. Without a source given for it, the sentence that Schulte was “the first to tell the world about the extermination of Jews” has been added to Wikipedia pages, such as here, here, here and here. This attempt to fool the public is in itself evidence that there never was an informant, that the story was an invention of Gerhart Riegner and his WJC confidants. At the WJC website this article characterizes the worth of the telegram far beyond what it actually was. Note the words “reliable” and “authoritative” in the first paragraph, neither of which are at all appropriate, since it was hearsay. From 1942 to 1944, the World Jewish Congress continued to send messages to the State Department with information from anonymous sources about atrocities taking place against Jews in German-occupied Europe. Many were quite similar to the debunked false stories from WWI, and this was noted by State. While the Treasury Department had granted the World Jewish Congress permission to send the money to Switzerland in July 1943, the State Department used various excuses, delaying permission until December, a full eight months after the program was first proposed. Jewish newspapers like this one from Omaha, Nebraska, played it up big. Roosevelt was eventually drawn into this State vs. Treasury friction and, because of his close friendship with Morgenthau, he backed the Treasury Dept. 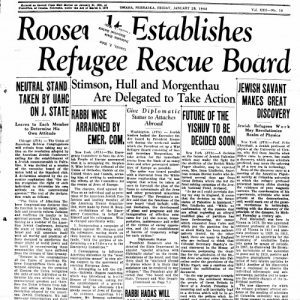 Just as the WJC had been pushing for, Roosevelt then agreed to assist in the escape of European Jews with the creation of the War Refugee Board in January 1944. He placed in charge Morgenthau, Sec of State Cordell Hull, and Sec of War Henry Stimson. However, the executive director was Morgenthau’s fair-haired boy John Pehle, with Josiah DuBois as general counsel, making it Morgenthau’s board. Not only that, but Morgenthau had delegated all of Treasury’s powers in the areas relevant to the WRB to Harry Dexter White, later exposed as a Soviet agent. Thus, the Board became an instrument of Rabbi Wise and the Zionists, and as such its main achievement was the booklet, German Extermination Camps: Auschwitz and Birkenau, Executive Office of the President, Washington, Nov. 1944, hereinafter referred to as the WRB report. According to revisionist Arthur R. Butz, this report constituted the birth of the official thesis of exterminations via gas chambers at Auschwitz. Once Washington committed to the claim that Auschwitz was an extermination camp, the way was cleared for newspapers to carry the story. It was placed on the front page of the New York Times on Nov. 26, 1944 with some excerpts given. It is described as two reports, one written by “two young Slovakian Jews” and the other by “a Polish major” whom had been inmates at Auschwitz from Spring 1942 until Spring 1944 when they escaped. All the essentials of the “Holocaust” are found in it. I soon lost my comparatively comfortable job [October 1942?] with the Aufräumungskommando, and as punishment was transferred to Birkenau, where I spent one and a half years. 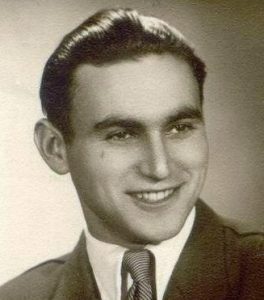 I ask, what did a healthy young man do at Birkenau for a year and a half? It wasn’t known as a work camp. Of course, that assumes that he was actually there. Examination shows that the information in the report is the sort of thing that could have been built up from intelligence data. This is exactly what one should expect, as Germany’s enemies had the means of gathering information about German camps and about events in Europe. The Communist Party, being “the world’s most efficient intelligence organization,” could transmit any information desired to any destination without needing “escaped inmates” to supply the facts. The WRB report was put into evidence at the International Military Tribunal on Dec. 14, 1945. There was no objection from the defense and it was accordingly accepted as evidence. 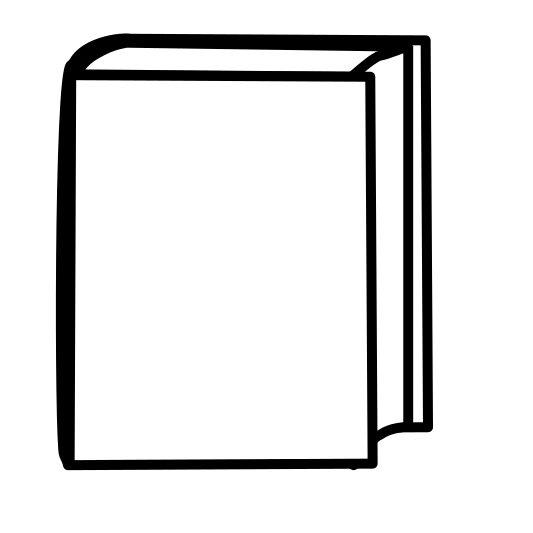 However at the later Farben trial, the defense objected to the report, questioning the “competence and materiality of each and every document in the book” and the objection was sustained by that court. Wise always assumes such a sanctimonious air and pleads for the ‘intellectuals and brave spirits, refugees from the tortures of the dictators’ or words to that effect. Of course only an infinitesimal fraction of the immigrants are of that category – and some are certainly German agents. What we can say for sure is that, in the end, the World Jewish Congress has prevailed, and that it continues to work tirelessly both for the Zionist cause of Israel and the welfare of every Jew in the world. What is one hoax more or less to them in the face of such a monumental undertaking?